It is hard to tell at this point in my life whether I have gotten much better at video games, or video games have gotten much easier. I’d like to think that I have the mental ability and dexterity to skillfully play any game, but deep down, a part of me thinks that my recent rise in skill is only thanks to a coincidentally timed decrease in challenge. When I was but a wee-Oliver, I remember games like Secret of Evermore (SNES, represent!) being stupidly hard. Even now, if I fire up an emulator, the game isn’t incredibly easy. Easier, maybe, but that is because I’ve played (and beaten) it many times before. I blame the years of World of Warcraft and Kingdom Hearts, and other such games that offer the gamer very little consequence. Failure means little more than restarting at the latest checkpoint, or casually trotting your ghost back to the place you died. The days of losing hours of progress because you forgot to save and got unlucky on one random encounter are gone. Not that such a trend is a bad thing. I enjoyed the aforementioned games. Autosaves and in-game progress markers make for a much less frustrating gaming experience, and one that requires significantly less time to feel like you’ve accomplished something. But on the other hand, these “features” detract from the edge-of-your-seat excitement that comes from squeaking past a level or area to get to a save point, your characters and investment in the game on the brink of annihilation the entire time. I enjoyed new attempts to revive gaming difficulty in the likes of Bastion (with all of the idols activated at the same time, the game was near impossible) and a fresh take on puzzles like in PlayDead’s creepy platformer, Limbo. I didn’t enjoy the illusion of difficulty in Dark Souls; I really tried to give the game a chance, but a lack of instructions and monsters that can kill you in one hit is artificial difficulty. The game is no longer testing the player’s skill, but instead, their patience. Thus I come to the point of my post, the faux-difficulty wall that is Inferno difficulty in Diablo 3. I speak from nerdy experience (Witch Doctor in Act3 Inferno) when I say that Blizzard is simply capping how far players can go with stupid, overly strong encounters. It doesn’t require skill to progress, it requires borderline exploiting and repetitive, boring game play. Boring game play. That’s kind of against the rules of gaming, right? That’s why I like beer. Drinking beer is never more difficult than swallowing and savoring. Maybe after 10 or so the difficulty increases, but I’ll save that for another discussion. When I play a game and get frustrated by something completely out of my control (Fast/Invulnerable Minions/Fire Chains/Mortar, anyone? 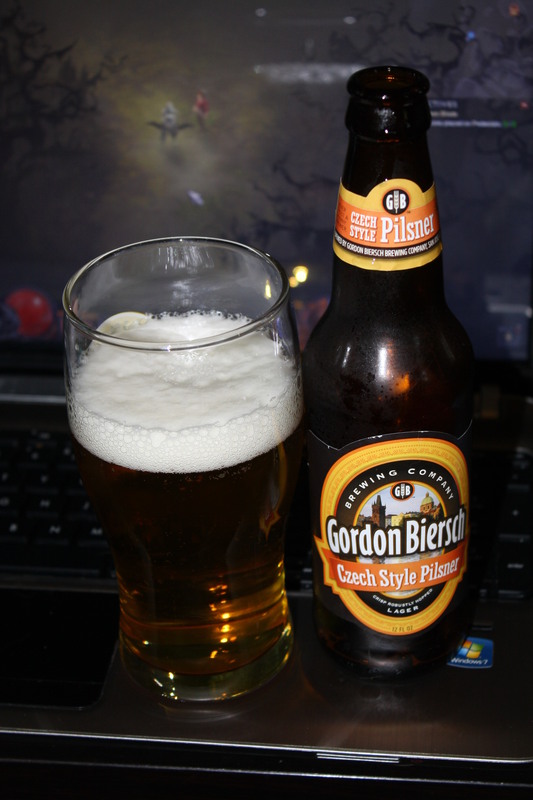 ), I can always remind myself that I can have a beer, and enjoy it for what it is. When everything is face-bashingly hard and unfun, GB:CSP goes down easy. I normally play a Witch Doctor, but I was sick of getting killed in Inferno so I was messing around with a Demon Hunter. Ahhh…Drinking whilst Gaming! IMHO, the Malt-n-Hops is the Ultimate enhancement Buff!!! While playing Buck Hunter 7, I too was reminiscing over difficulty levels. I then remembered I had a refreshing 12 pack of Miller High Life in the icebox. Shortly after beating my wife, I determined that Miller High Life turns you into a redneck. I think I’ll give CSP a try. It seems…classier.